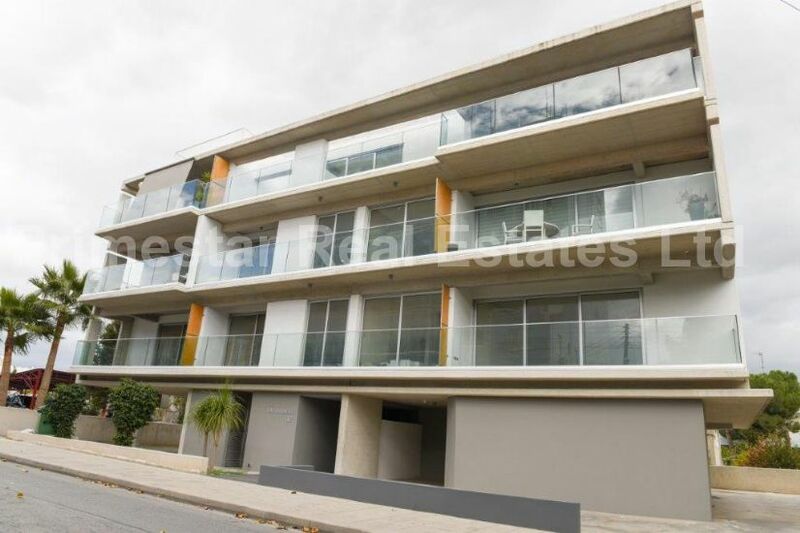 The featured two bedroom apartment is located just off Athalassa Avenue, Nicosia. 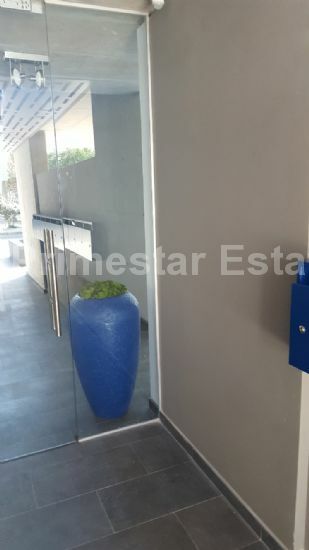 It is in a prime location with an easy access to the highway and close to all amenities (schools, shops, supermarkets, banks). This stylish designed flat is on the first floor of a small modern design building. 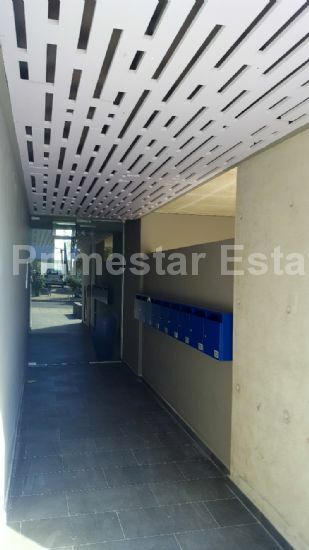 It has a total net covered area of 104m² which includes a covered veranda 19m² . It consists of a large living room with an open plan kitchen, two bedrooms, a bathroom, guest toilet and a covered veranda. On the ground floor it has a covered parking area and a storage room. The apartment has quality materials throughout and is finished by interior professionals to the highest standard. It has false ceilings with LED lighting, solid granite bench top, Kitchen quality techno glass surface with perfect gloss (scratch, chemical and abrasion resistance), porcelain tiles 75X75 and feel wood laminate in bedrooms. It has soundproof and heatproof double glazing windows and it is heated with latest under floor electric heating with separate zones.